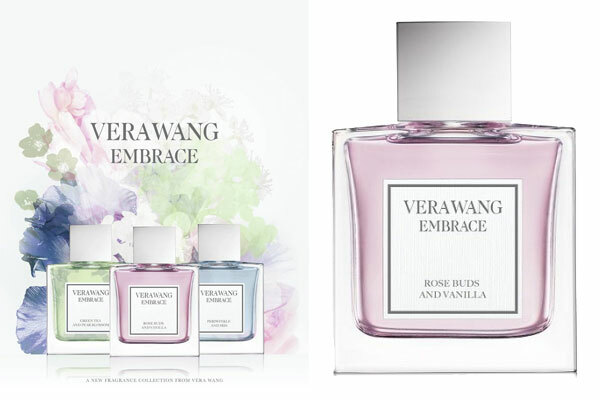 Embrace by Vera Wang - A fragrance collection for women. This trio of floral scents includes Rose Buds and Vanilla, Green Tea and Pear Blossom, and Periwinkle and Iris. Launched in May 2015 and available in an eau de toilette spray from Kohl's and Walmart. Package Design Square glass bottles with silver cap, pink, blue, and green juice.